The Congress on Friday attacked the BJP for the alleged rise in encounters in Uttar Pradesh, saying the culture comes from Prime Minister Narendra Modi’s home state of Gujarat and UP too has become a victim of the ruling party’s “muscular” model of governance after Jammu and Kashmir. In a series of tweets, former home and finance minister P Chidambaram said that during the last 16 months, 78 people were killed in encounters by Uttar Pradesh police. “Is this the rule of law under the Constitution of India? It is the rule of law under the “muscular” model of governance offered by the BJP. After Jammu & Kashmir, it is UP that is the victim of muscular government,” he said. Taking a swipe at the BJP, senior Congress leader Anand Sharma said the party is now seeking to make it a national campaign. He said encounters are not sanctioned by law and are against the basic tenets of natural justice. “This culture comes from Gujarat; of false encounters and killing people. Now they want to make it a national campaign. We are a rule governed country. Where there is a rule of law and everybody has their rights. Nobody can be killed. Encounters are not sanctioned by law. It is against the basic tenets of natural justice,” he said. Mr Sharma said Uttar Pradesh has produced some giant leaders like Jawaharlal Nehru, Govind Ballabh Pant, Acharya Kripalani, Kamalapati Tripathi, Hemwati Nandan Bahuguna and many others. BJP leaders like Rajnath Singh, who was the state chief minister, are also from the state and wondered how people have now settled to elect Yogi Adityanath. “Time will tell, when the history of this period is written, as to what damage they have done even to the governance in the state of UP. If encounters is the sole target of an elected Government in a democracy, then God help our country,” the senior Congress leader said. Reports claim the UP Police, in the first 16 months of the Yogi Adityanath government, recorded more than 3,000 encounters in which at least 78 criminals were gunned down. 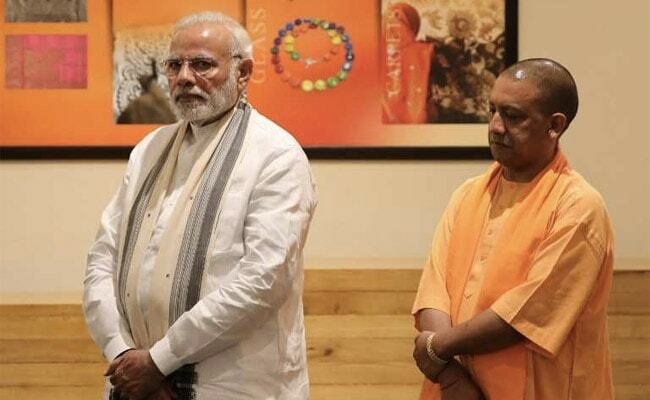 Quoting officials, the reports say, the data in question was recorded between March 2017, when the BJP government came to power in Uttar Pradesh, and July 2018.